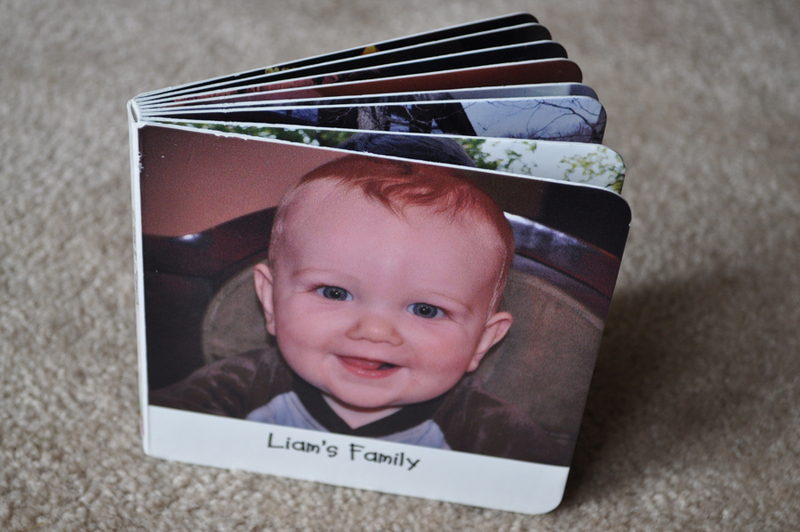 I guess technically WE didn’t make the custom board book – Pint Size Productions did – but we designed a great little personalized board book for Liam featuring pictures of his family members. It’s appropriately called Liam’s Family, and I am so tickled at how well it turned out! I was impressed with the whole custom board book making process that Pint Size Productions offers, actually.